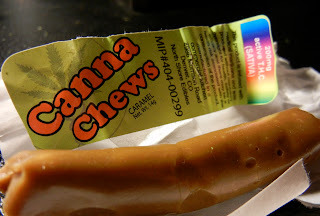 Medical marijuana edibles, also known as Cannabis foods, are really just ordinary food products that have included Cannabis in either herbal or resin form as an ingredient. The idea here is that some people do not want to go through the trouble of smoking marijuana or hashish. There are even a number of people who have trouble inhaling due to medical conditions (or otherwise). Medical marijuana edibles are perfect in such situations. Some of the most common types of edibles include cakes, cookies, and brownies. Of course, there are tons of additional edibles that have been created in recent years, thanks to the new laws in Colorado making medical marijuana legal. The majority of medical marijuana edibles are baked goods such as cakes and cookies. The main point of these is to allow the THC (which is the main active ingredient in marijuana) to enter into the bloodstream of the eater. In order for this to happen, the actual marijuana needs to be infused into butter, oil, or alcohol. The result of this infusion is a tincture. This liquid can then be used in all types of edibles and edible recipes. There are really so many different types of marijuana edible products on the market that it can be a little overwhelming. These can include items like chocolates, cookies, ice creams, and more. Given the factors listed above, you can really put the Cannabis oil or resin in just about anything that is edible, so the following list will undoubtedly grow larger as more companies become more creative and innovative with their recipes. The first type of edible product would have to be chocolate. This could include all types of chocolate bars or specialty products. One worth trying is the blackberry dark chocolate bar from River City Phoenix/Kiva Confections. Sugar free chocolates (sort of like kisses, only a little bigger and more potent) from Denver Relief is also a nice alternative. When most people think about medical marijuana and edibles, they tend to imagine the traditional hashish laced chocolate brownie. Denver Relief also bakes an incredibly delicious truffle brownie that is to die for! Bakked is another Colorado company that has a tasty brownie edible product (with 100mg of THC). Honestly, almost every good medical marijuana company that offers edibles is likely to have some type of brownie product. Another excellent type of marijuana edible is cookies. These are also incredibly easy to make since all that is required is to mix the THC resin or oil into the cookie batter. The difficult part is actually ensuring that each cookie receives an equal amount of the marijuana ingredients. Denver Relief also has a lot of different cookie varieties including an M&M cookie, oatmeal cookie, and even a Snickerdoodle cookie, in addition to the original chocolate chip version. There are also Rice Krispie Treats, although whether or not they qualify as a cookie could be debated. Check out Dixie Elixirs to try a few of your own. Yep, even ice cream is now considered to be a medical marijuana edible product. Mile High Ice Cream has some of the best tasting ice cream that has been infused with medical marijuana. Some of their flavors include Caramel Oreo, Chocolate Cookie Dough, Chocolate Raspberry, Red Raspberry, and Vanilla Bud. 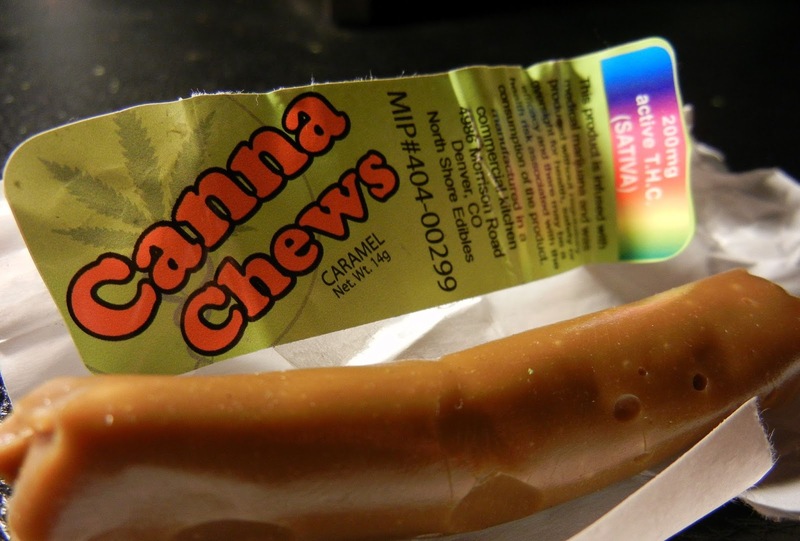 This is another hugely popular market for marijuana edibles. The variety here is almost endless and can include things like gummy bears, hard candies, lollipops, specialty chocolate bars, lozenges, drops, etc... Sweet Stone Candy offers many of these varieties listed above. There are even a number of companies out there adding marijuana ingredients to drinks. Canna Cola is another Colorado company that has developed a full line of marijuana or THC infused soft drinks. In fact, they are billed as 'medical marijuana soda pop.' Some of their flavors include orange krush, sour diesel, grape ape, doc weed, and the classic canna cola. Many people on a health kick love eating granola. Therefore, it is only natural that someone would create a version of granola bars as an edible. Cool Calm Collective has put together something they call Hearts of Hemp Granola Bar. This comes in professional packaging and has 125 mg of THC, with 2-4 doses per bar. There is a tremendous amount of variety in medical marijuana infused cakes. In fact, it would even be possible to have a wedding or birthday party cake created (although they would likely be quite expensive). Running Dogs offers a fantastic product they call Captain Kirk's Oklahoma Sweet Cake. The cake itself is infused with THC, plus they also supply a caramel sauce that is also THC infused. Simply pour over the cake for a full strength dose. 3rd Gen Family also makes an excellent Pineapple Turnover Cake that you will be delighted to try. Since the legalization of medical marijuana in Colorado there have been a number of companies that are jumping into the edibles market. Obviously there is a lot of money to be made here, which is one of the most likely reasons for all the action. Many of these companies have physical storefronts, although a number operate simply through cyberspace using only a web presence. Either way, it is always helpful to keep in mind that something like this should demand the ultimate care and due diligence to determine which is likely to be the best source of supply for all your medical marijuana edibles needs. Denver Relief is one of the largest of these new marijuana edibles companies. As the name implies they are based out of Denver and do have a physical storefront as well as an online presence. They offer a wide variety of edibles including MarQaha drinks and tinctures, lozenges, candies, cookies, cupcakes, chocolates, honey, olive oil, bars, and more. They even carry products from other companies as a distributor. 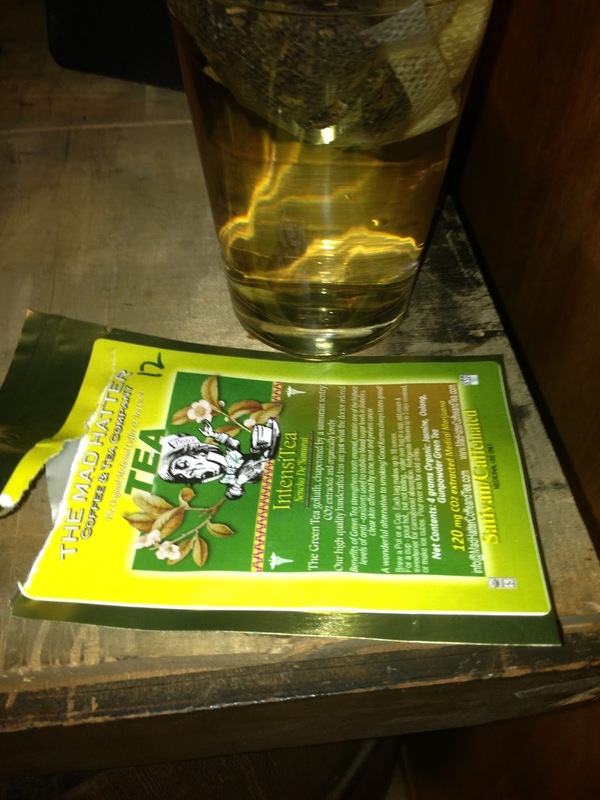 The Mad Hatter Coffee and Tea Company is the number one supplier of marijuana infused teas and coffees to MMJ dispensaries in Colorado. Teas and coffees produced by the Colorado based MMJ edible manufacturer are made organically and contain 120mg of CO2 extracted marijuana. 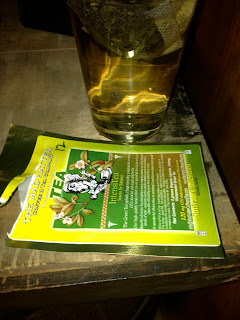 The Mad Hatter Coffee and Tea Company makes caffeinated morning time teas and coffees as well as decaf MMJ teas, coffees and other elixirs. Dixie Edibles also offers a number of different medical marijuana foods and edibles. This includes peanut butter bars, chocolate truffles, Crispy Rice Treats, fruit lozenges, and dixie rolls (which look similar to tootsie rolls of bygone days). Bakked is another Colorado-based edibles company that should not be overlooked. They have a unique and interesting selecting of products to choose from along with monthly specials and an attractive website from which to order or find out additional information. They sell bars, candy, chocolates, cookies, pastries, sugar free items, tinctures, concentrates, and more. Sweet Stone Candy focuses only a few areas of edible candy products. This includes hard candies, chocolates, and gummies. There are tons of varieties under the heading of hard candies, ranging from common flavors like cherry and orange to blueberry cheesecake and key lime. The three flavors of chocolate bars include classic milk chocolate, chocolate peanut butter, and chocolate caramel. Sweet Mary Jane is another Colorado company that creates a small number of medical marijuana edibles. In fact, they have recently won several awards for their signature product, the OMG! Brownie Cheesecake. Be sure to try this one. Incidentally, they have also placed very well in the concentrates category. As you can see, the range of medical marijuana edibles and edible products is vast...and growing. To think that none of these companies existed in their present form even just a decade ago. Really the question is no longer what types of edibles are available but rather what type of edible products are you looking for. The day may soon come when there will be restaurants catering to those needing medical marijuana. In the meantime, the above guide should serve as a great place to start with your own research.